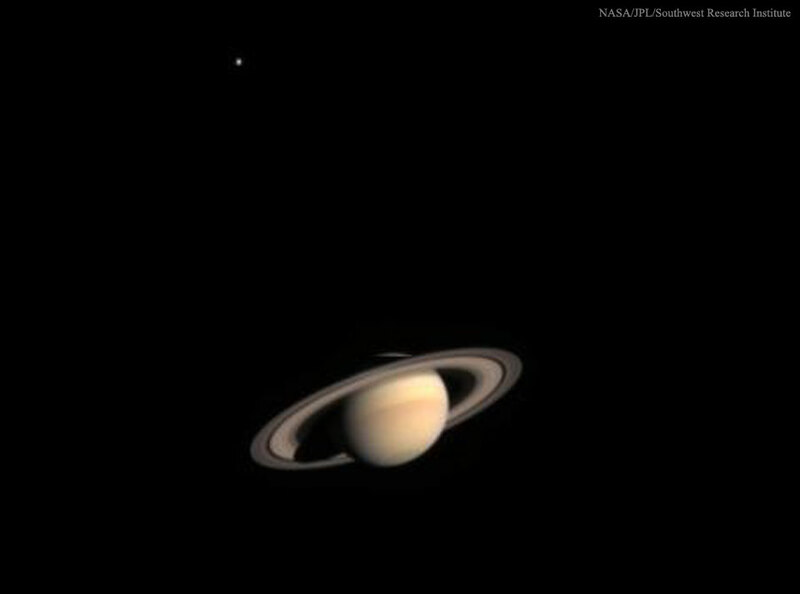 Explanation: Cassini, a robot spacecraft launched in 1997 by NASA, became close enough in 2002 to resolve many rings and moons of its destination planet: Saturn. At that time, Cassini snapped several images during an engineering test. Several of those images were combined into the contrast-enhanced colour composite featured here. Saturn's rings and cloud-tops are visible toward the image bottom, while Titan, its largest moon, is visible as the speck toward the top. 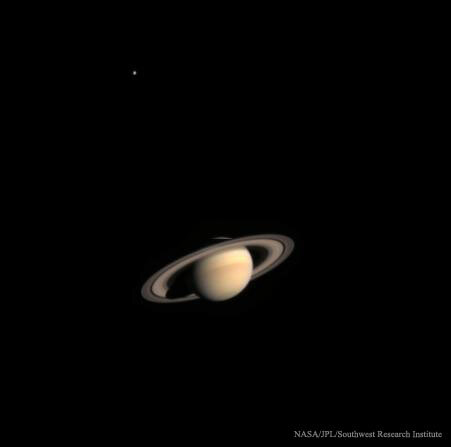 When arriving at Saturn in July 2004, the Cassini orbiter began to circle and study the Saturnian system. A highlight was when Cassini launched the Huygens probe that made an unprecedented landing on Titan in 2005, sending back detailed pictures. Now nearing the end of its mission, Cassini is scheduled to embark on a Grand Finale phase in late 2016 where it will repeatedly dive between the giant planet and its innermost rings.